While attacks on large, high profile businesses make the headlines, smaller businesses are at a much greater risk. While larger companies can afford to employ in-house teams, dedicated to IT security, smaller companies do not have this luxury. This lack of security coupled with outdated systems means that small businesses are easy targets for increasingly sophisticated attackers. 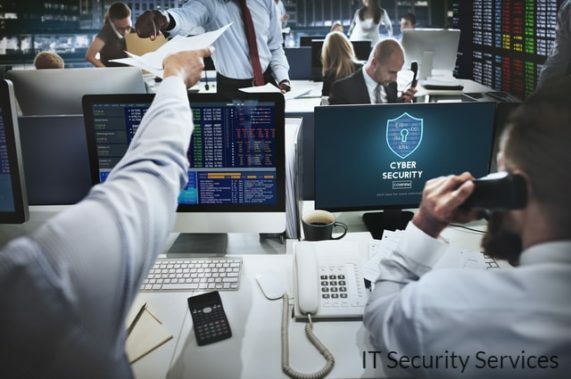 An effective way for businesses to combat the threat of an attack is to employ the services of IT security experts, such as Tabard IT Ltd -who operate in Edinburgh, Glasgow and Central Scotland- to manage their IT security. Below are some of the most popular IT security threats used by cyber attackers. Ransomewhere-where an attacker compromises an IT system and demands money to restore access when the ransom is paid-is becoming increasingly commonplace. The ransomware attack on the NHS, in 2017, highlighted the crippling effect that this can have on a large company. However, small businesses can also be affected by this type of security threat. These attacks are becoming increasingly sophisticated and popular as the success of ransomware is reported. To minimise the risk of an attack all businesses should ensure they keep operating systems updated and install effective antivirus software. Poor password security is a major threat to any IT system and one of the most common ways for a system to be compromised. Many people do not change passwords on a regular basis, or use the same password for multiple devices, making a cyber attack relatively easy. Password only access is becoming increasingly rare and will soon become obsolete. Multifactor authentication (MFA), such as fingerprints or additional security questions, is becoming commonplace. While not foolproof MFA obviously makes it more difficult for passwords to be stolen and security to be compromised. The practice of sending spam emails is one of the oldest forms of cyber attack. Typically the email contains a link or attachment that, when opened, extracts confidential information. Despite repeated warnings, many company employees open these links and put the security of a business at risk. A company such as Tabard IT Ltd, who are experts in IT security services, can provide email filtering solutions to combat the risk of a phishing attack. A relatively new the development, the internet of things, is a term used to describe any device or appliance connected to the internet. This includes smart TVs, watches, virtual assistants and a host of other devices. Attacks on these devices could have far-reaching effects, and mean that the cyber attacker can target individuals, as well as businesses, via a large number of routes. The continued development of such devices means that everyone should be aware of the security risks involved, and businesses should invest time and money to educate their employees.